ECDPMGreat Insights magazineDeveloping Value Chains: What Role for Regional Integration? Ramdoo, I. 2014. 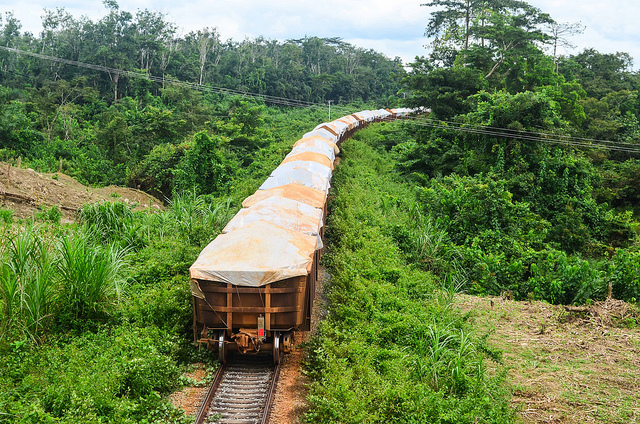 Developing value chains: What role for regional integration? GREAT insights, Volume 3, Issue 7. July/August 2014. Since the turn of the century, many African resource rich countries have embraced a fundamental shift in their policies regarding the management of their extractive resources in an attempt to finally reap the benefits from the current resource boom. In particular, many countries adopted a set of new-generation fiscal and industrial policies, supported by regulatory and institutional reforms, all aimed at triggering economic and social transformation and rebalancing economic gains in favour of their local population. Although widely supported and acknowledged by leaders of the continent, notably through the endorsement by Heads of States of the African Union of the Africa Mining Vision (AMV), most reforms were first and foremost initiated at the domestic level. Nothing strange there, since extractive resources are owned, managed and governed by the countries where they are found. Additionally, if resources are to benefit local populations, then the catalytic drive should emanate from the domestic level. But that said, if national strategies for economic transformation are to be pursued successfully, then it is vital that they be substantiated and complemented by strong regional policies. While globalisation and technological progress have squeezed space, more than ever, countries need to combine forces through regional mechanisms to sustain competitiveness and boost their productivity, as micro-entities cannot be sustained on their own. Regional integration can be a powerful multi-dimensional process if pursued effectively. It is expected to lead to coordination, cooperation and convergence efforts around projects of common interest but its level of ambition can be more or less deep, depending on the political and socio-economic realities of the member countries. In that sense, real region-wide progress, through improved connectivity (infrastructure, power, information and communication technology etc. ), competitive logistics, production value chain integration, convergence in regulatory policies and effective support to trade and trade-related policies are all fundamental to accompany the transformation process in resource-rich countries, in line with the goals set in the AMV. Bringing national and regional efforts together would therefore undoubtedly enhance the attractiveness of the continent and sustain its economic prospects as the latter ambitions to shift to a new development model and integrate successfully into the global economy. Where do regions currently stand? Success to transform resources into sustainable and inclusive development outcomes is conditional upon the extent to which home-grown initiatives taken by policy-makers are implemented domestically and the ability to coordinate efforts among the wide range of stakeholders, notably at the regional level. Efforts to harmonise mining codes have increased across the continent within regional groupings, in particular emphasising the need for transparent regulatory frameworks and efficient administrative systems, including one-stop shops in mineral licensing. Most regional economic communities (RECs), notably the Southern African Development Community (SADC), the Economic Community of West African States (ECOWAS), the Economic and Monetary Union of West Africa (WAEMU/UEMOA) and the East African Community (EAC) have taken concrete initial steps towards harmonising their national policies, laws and regulations and developing common standards to create a uniform business environment for investors. These on-going regional mineral policies and initiatives are quite key to support regional value chains. However, the main challenge is the difficulty to systematically define a common agenda among member countries, given often competing, and at times diverging interests in the sectors. For instance, it is still quite challenging to put in place large common infrastructure projects, despite the fact that those are an absolute necessity to bring down the cost of doing business across borders, help connect markets and enhance cross-border trade and investment. Similarly, there are surprisingly few big regional projects around the extractive sector, despite its predominance as an economic activity. The Central African region has been the first to launch an extractive industries knowledge hub in Cameroon to build capacity in the region to influence resource governance in the region. As a result, although a first step in the right direction, most of these regional policies so far still remain largely non-binding instruments. This is not sufficient to frame a truly coordinated effort to advance the transformation agenda, using extractive resources as a springboard. Western and central Africa are home to the biggest African oil producers (Nigeria, Gabon, Congo, Cameroon, Chad, Equatorial Guinea and more recently Ghana), although there is also significant mining production, notably with the exploitation of huge reserves of bauxite and iron ore. Like everywhere else on the continent, the growing necessity to get more benefits from resources has spurred a series of reforms, although the scope and scale differ largely among countries. Countries in-region are very heterogeneous and economies have traditionally largely been inward looking and strongly driven by rents and politics. Countries have so far elaborated limited common regional projects in the extractive sector. 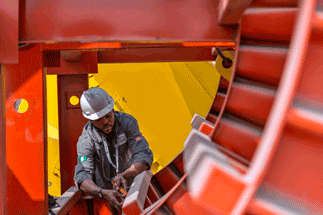 Oil producers in the region have, for a long time, been considered as sleeping regional partners although this is gradually changing, with the stated ambitions of Nigeria for instance, set to become the new unavoidable regional hegemon. But this passive participation in regional integration processes is reflected in the low level of coordination around the extractive sector at the regional level, despite widely recognised efforts by regional organisations to harmonise policies and put in place regional strategies. Interestingly, most attempts to coordinate efforts are around the mining sector, rather than in the predominant hydrocarbon sector. Since 2008, ECOWAS has started to implement a unified mining legislation, as enshrined in the ECOWAS Treaty, by adopting a three-pronged approach, with the setting up of three regional legal frameworks, with the aim of leading to the harmonisation of the mining regimes and legislations across its member states to create a more stable and transparent mining legal environment in the region. These are (i) the adoption of a Directive on the Harmonization of Guiding Principles and Policies in the Mining Sector in 2009; (ii) the setting up of a Mineral Development Policy in 2011, to address issues such as optimising the value chain through the processing and value addition to minerals for maximum benefit; and (iii) the forthcoming Common Mining Code, meant to ensure a consistency in the approach by member states in harmonising their national mining legislations, is currently being developed. The other regional body, UEMOA/WAEMU (whose members are all ECOWAS members), has also undertaken substantial efforts to harmonise mining policies since 2000, when it adopted a Common Mining Policy and a Common Mining Code in 2003. The Code regulates the ownership and granting of mineral titles, adopts a program for the protection of the environment, defines a tax system applicable to minerals, governs the recruitment and procurement rules, etc. (see article by E.B. Kabore in this issue). Although these two regional initiatives appear to mostly share the same guiding principles for the mining industry, it is unclear how the two legal frameworks will work together, since the eight members of WAEMU are all ECOWAS members. While these regional initiatives are commendable in an attempt to coordinate efforts on the legislative aspects and necessary to ensure coherence, the production and infrastructure dimensions of integration are still largely missing. This is an absolute necessity to unlock the full potential of firms to participate in regional value chains. The hydrocarbon sector remains remarkably largely uncovered by regional efforts. Being the largest economic sector in the region, the convergence of domestic economic reforms and common regional economic policies and industrial linkages can only favour positive development outcomes. Southern Africa is probably the most richly endowed sub-region when it comes to minerals considered as strategic for industrial purposes. Although dominated by South Africa, the driving mining hub of the region, other countries have equally long mining histories. Like elsewhere, in recent years, most countries have reviewed their mineral legislations with the objective of getting more benefits and stimulating broader economic diversification. In South Africa for instance, reforms have been guided by the New Growth Path strategy, aimed at building an integrated economy and at enhancing growth, employment creation and equity. A mineral beneficiation strategy has been defined to guide resource-based industrialisation. 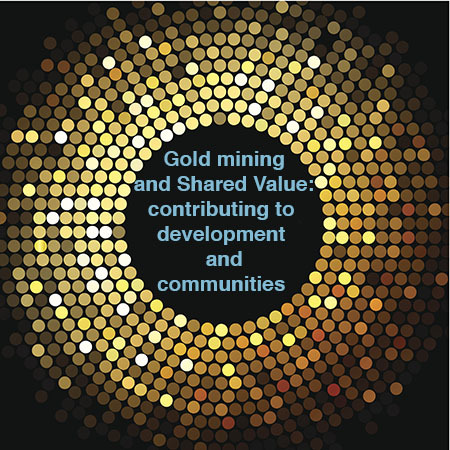 The SADC region adopted a Protocol on Mining in February 2000, followed by a Mining Strategic Plan in 2001, to harmonise mining policies across the region’s member and to provide a framework for cooperation and coordination to increase investment and productivity of the regional mining sector. In 2006, SADC approved a framework for the “Harmonisation of Mining Policies, Standards, Legislative and Regulatory Framework in Southern Africa”. An implementation plan was adopted in 2007. 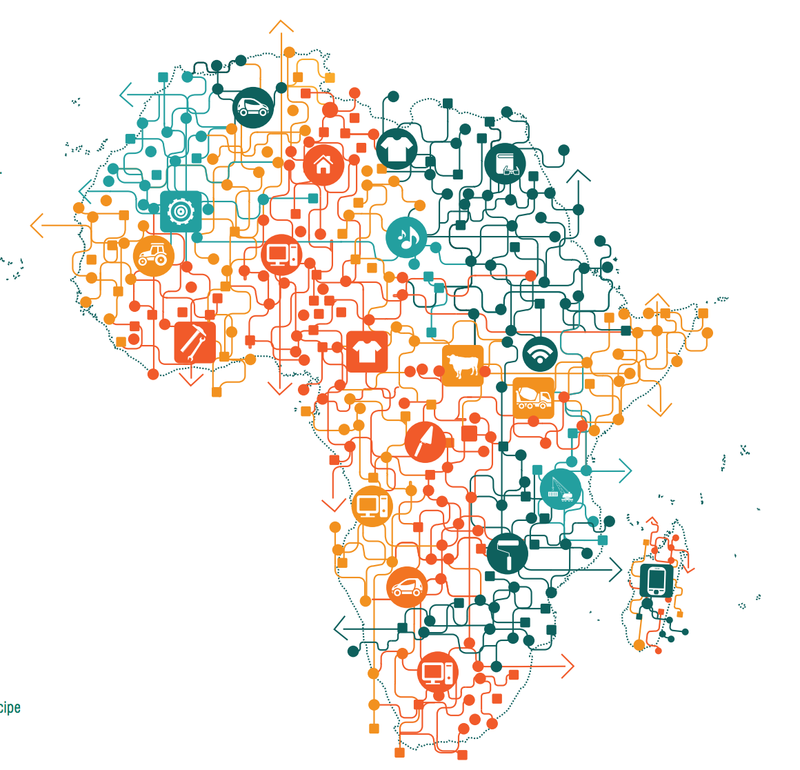 Although all very valid tools, like in West Africa, the regional frameworks in the SADC region lack the necessary “teeth”, not only in terms of binding legal instruments, to ensure national initiatives are coherent and in line with regional plans but more importantly, in terms of creating the necessary conditions to create regional incubators for product value chains. The Mining Protocol and its other instruments do not make any specific reference to value addition or beneficiation, a clear missing link, as this is crucial to support the creation of backward and forward linkages across countries. The recent debates in many Southern African countries about the need to enhance value addition are yet to be translated into collective efforts at the regional level. Yet, regional integration offers enormous opportunities to capitalise on ongoing national efforts to create production transformation, based on clusters of industrial activities. Experience has shown that the potential for trade in manufacturing products, intra-industry trade and prospects for small and large local companies to move across borders are all closely linked to the prospects that an expanding regional market can offer. If these prospects were supported by explicit regional policies, with regional value chain options being explored, possibilities could become promising realities. After decades operating in the shadow of the rest of Africa, East Africa is finally emerging as one of the most significant players in the continent’s minerals ad metals industry. Large oil discoveries around Uganda’s Lake Albert in 2006 and subsequent gas discoveries of offshore Mozambique have dramatically altered perceptions and perspectives for East Africa. Its vast untapped reserves turned the region into one of the most attractive African destinations for prospectors and investors. Strategically, given its location, it became a serious alternative source of supply and has attracted substantial investments from Asian countries. These new discoveries triggered substantial reforms in East African countries, and consequently by the East African Community (EAC), in order to set the benchmark for new investments in a way that they will deliver on more equitable fiscal and developmental outcomes. But so far, national initiatives seem to follow only national priority logic, and while it may not be contradictory, it is unclear how it fits within regional goals. In Mozambique for instance, reforms of legislations in the petroleum sector, include plans to build LNG plants largely meant for exports. 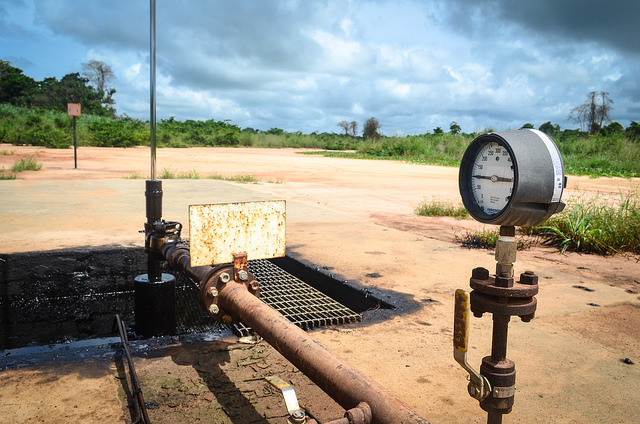 Policies in Tanzania regarding the gas sector contrast sharply with those of Mozambique in that the former’s priority is to supply its domestic market first. In Uganda, the government has set as a condition for oil exploitation, the request to construct a refinery as a priority, for the use of Ugandan oil domestically. The Treaty establishing the East African Community (EAC) supports the promotion of sustainable utilisation of the natural resource base in the region. Generally, EAC puts great emphasis on the development and promotion of extractive industries, mineral processing and value added. Concretely, the development of a regulatory and institutional framework to facilitate investments into mineral processing and extractive industries for maximisation of utilisation of abundant resources in the region is identified as a key priority. Additionally, the EAC Industrialization Policy seeks to take measures to promote the development of strategic regional industries/value chains including among others, extractive and mineral processing, petro-chemicals and gas processing and iron and steel. Although prioritised by the region’s strategic documents, there is again however insufficient coordination in the promotion and development of the value chains at national level but with clear regional dimensions. Similarly, there is currently no regional framework to establish and support investments into strategic regional industries where the region has comparative advantage. A number of barriers and challenges affecting regional’s efforts to secure maximum benefits from its minerals resources still need to be addressed, including a proper regional framework that included steps to increase productive capacity in the region, to upgrade infrastructure, human and technical capabilities and provide an enabling investment framework for extractive industries and mineral value chains. What now? How to grow regionally? The challenge therefore facing countries and regions is not just a matter of joining value chains. It is about increasing the share of value added created locally and to moving up the chain hierarchy from simple to more complex activities. This process is neither straightforward nor spontaneous. It first depends on public national and regional policies that commit to this objective. These include trained human capital, high-quality and competitive logistics and telecommunications, cost-effective transport infrastructure, a conducive business environment, and proper protection of intellectual property. 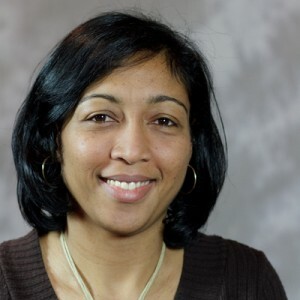 It concurrently depends on the role of businesses and how they manage to connect markets and build factors of differentiation that go beyond natural resource endowments and low labour costs. This is crucial for small companies operating in small and fragmented economies, far from the epicentre of lead firms or lead suppliers. For African RECs to maximise the benefits and minimise the risks associated with value chains, it is therefore important, in addition to the current frameworks being developed, to enhance the synergy between trade and investment policies in particular by focusing on measures to stimulate product value chains in industrial development policies. Second, RECs should take a lead role in dealing with infrastructure and energy bottlenecks that limit the potential of these chains. Third, the production capabilities of local firms and the capacity of their workforce need to be enhanced. Although much of it has to be done at national level, regions need to ensure the business climate favours their movement including that of their professional staff, across borders. The setting up of regional public procurement requirements is another way of ensuring regional local content for regional businesses. Finally, it is crucial to create linkages both within and outside the extractive sector to ensure economic diversification and spill-over effects in other sectors of the economy. The nexus agriculture and extractive sector or services and the extractive sector need to be further explored as there are substantial opportunities to develop economic activities between the extractive sector and other sectors of the economy. Here again, there is a role for the region in building synergies with their own sector specific policies. 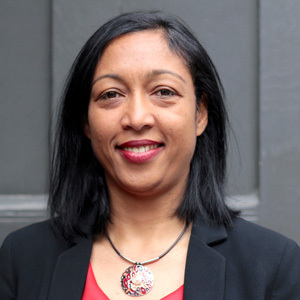 Isabelle Ramdoo is Deputy Programme Manager of the Economic Transformation Programme. Image source: African Economic Outlook 2014. Quelle place pour l’intégration régionale dans le développement des filières ?